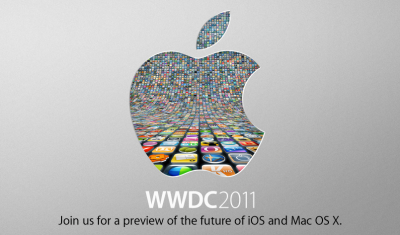 The start of the 2011 WWDC at the Moscone Center in San Francisco is just hours away. Apple have themselves revealed in a press release that Steve Jobs’ keynote at 10am PDT will unveil for the first time the new iCloud service, iOS 5 for iPhone and iPad, as well as the latest iteration of the Mac operating system OS X Lion. Apple will unveil its next generation software – Lion, the eighth major release of Mac OS X; iOS 5, the next version of Apple’s advanced mobile operating system which powers the iPad, iPhone and iPod touch; and iCloud, Apple’s upcoming cloud services offering. Stay tuned for all the news as it happens!